Dingo nods and whispers back "We probably should"
"Dont worry big boy. "Aleu said. "We almost there." "Dont worry Balto. "Jenna said and nuzzled him. Aleu smiled. "Dont go far. "She said and smiled. Dingo looked at Shela and smiled. 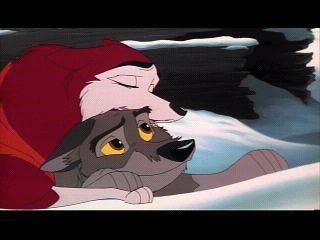 "Relax Balto. "Jenna said. "You look sleepy. "She smiled. Kodi smiled so can I get you anything Dusty? "Balto, are you alright? "Jenna asked.